Almost on the exact day three years ago I participated in my first “Brevet” and thereby officially took my first steps in the world of long distance cycling. 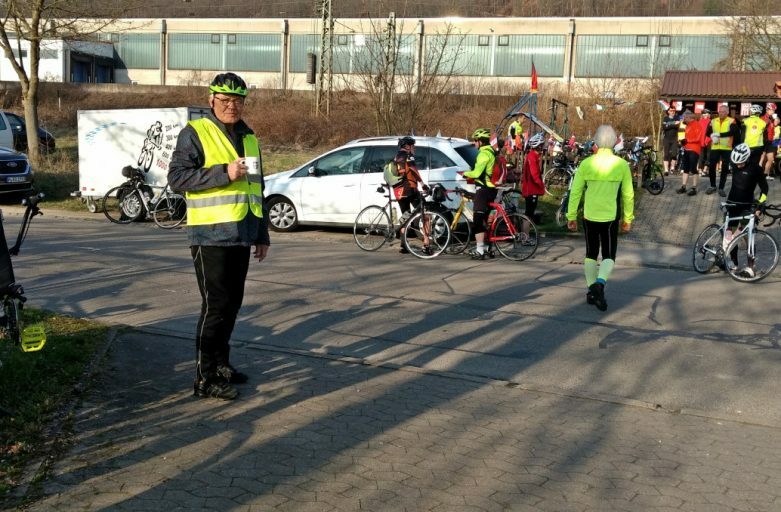 A Brevet, sometimes also called “Audax”, is an organised bike tour of 200 and more kilometers, which you have to complete within a time limit (13.5 hours in this case). Along the route are checkpoints where riders get their cards stamped, proving they were actually there. It’s specifically not a race, there’s no awards for arriving first, the sole challenge is to accomplish the distance in the given time. 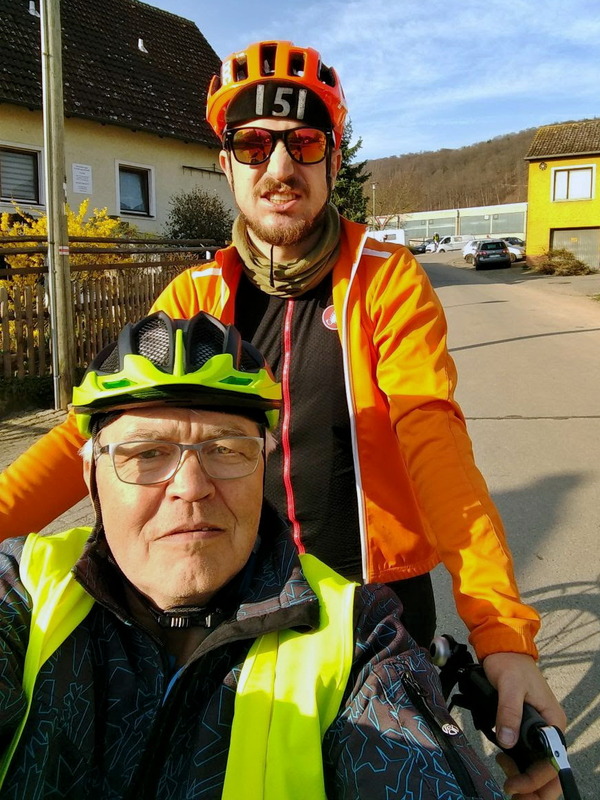 And now, three years later, I was able to share with my dad the experience of cycling for hours on end, with whom I participated in another 200km Brevet on the tandem. 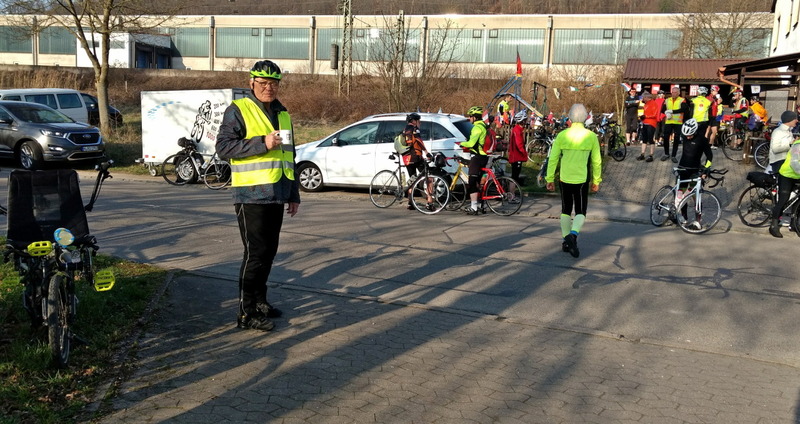 In the morning roughly 100 cyclists met at the starting location under perfect weather conditions. The start was executed in waves of ~20 riders, and after some chit chat we were sent on our merry way. For most of the starters completing the tour within the time limit would not be a big challenge and they would arrive many hours before the deadline. But since it was a very hilly route and since we had never done a trip quite that long, I was very cautious of over-exerting ourselves too early and we let most riders slowly fade away into the distance. Over the course of the day we actually caught some of them again and would leapfrog with them for the rest of the trip and chat a bit on checkpoints and climbs. The route was beautifully chosen, with lots of small roads lacking traffic and a very nice scenery through a countryside dotted with old castles and old villages. Towards the afternoon it became clear that arriving in time would be a solvable challenge, barring any mayor mishaps. When we climbed it, the sun had already set and our energy was running really low, but being so close to the finish line I got motivated again and pushed us over the top. My dad had gotten fairly quiet during that segment and only began to liven up again once we arrived at the club house, where we got greeted with smiles and food. In the end we arrived after 11 hours of riding, broken apart by breaks of slightly more than 1 hour in total. We even would have had another hour till the deadline, cutting it way less close than I initially expected. This trip is a nice occasion for a little retrospective, both on how far I’ve come in those 3 years, but also how far my dad and I have come in the past 6 months since we had seriously considered getting a tandem. When I arrived at the start of my first 200km Brevet I got some comments from other riders about why I’m bringing so much stuff (rightfully). I had a bag full of spare clothes, a drinking bladder, and and and … I even carried my heavy lock around! By now I’ve learned about how little you need, and about how much I can trust my body and my mind during those tours.